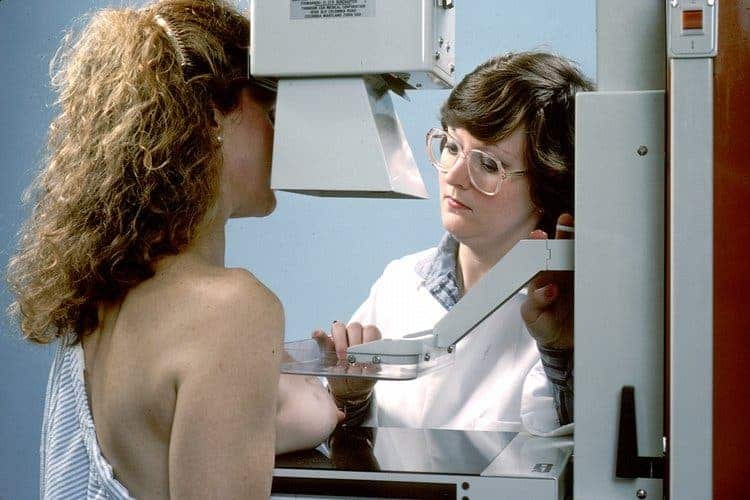 Mammograms have been controversial since their inception – many researchers argued that reduction in mortality from breast cancer comes from improved treatment, and not from the procedures. Now, a very large and thorough study involving 90.000 women and lasting 25 years casts a big doubt on the value of mammograms. Basically, what they found was that death rates from breast cancer and from all causes were the same in women who got mammograms and those who did not; furthermore – the screening had harms: One in five cancers found with mammography and treated was not a threat to the woman’s health and did not need treatment such as chemotherapy, surgery or radiation. I was surprised to find out that despite obvious controversy regarding mammograms, there haven’t really been that many studies to verify their effects; this is one of the few attempts to determine whether there was any advantage to finding breast cancers when they were too small to feel. The short answer is ‘no’, researchers conclude; the long answer – you can find here. But instead of working out the differences between the advocates and the opposers of mammograms – the study will likely broaden the gap between the two camps. Dr. Richard C. Wender, chief of cancer control for the American Cancer Society believes this will polarize scientists even more. The results showed that for every 1.000 women who start screening in their 40s, just 1 will avoid a breast cancer death; for 1.000 in their 50s, 2 women will be saved, and for women in their 60s, 3. But Dr. Mette Kalager, and other experts believe that there’s more to this story than meets the eye. Dr. Kalager, an epidemiologist and screening researcher at the University of Oslo and the Harvard School of Public Health, said that earlier studies that found mammograms were done before the routine use of drugs like tamoxifen that sharply reduced the breast cancer death rate. She believes that mammograms play a double role; while it’s true that as treatments improve, it’s not as crucial (though it still is very important) to find cancers in their early stages, mammograms also play a key role in raising awareness. She believes that women who have mammograms are also more likely to find lumps and understand more about the risks. Dr. Kalager, whose editorial accompanying the study was titled “Too Much Mammography,” compared mammography to prostate-specific antigen screening for prostate cancer. Curiously enough, the results were very similar. So where does that leave us? It’s impossible to draw a clear conclusion. The procedure clearly has its merits in raising awareness, but that’s obviously not enough. Is it still a necessary, and useful procedure? Is it just time, money and effort out the window ? The truth lies somewhere in the middle, though it’s still hard to say closer to which.